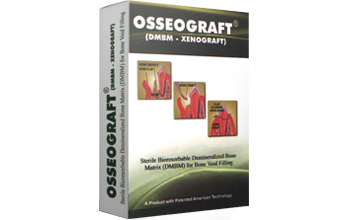 Sterile Bioresorbable Demineralized Bone Matrix (DMBM-XENOGRAFT) for Bone void Filling. 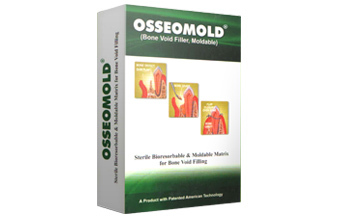 Sterile Bioresorbable and Moldable Matrix for Bone void Filling (Powder Forms). 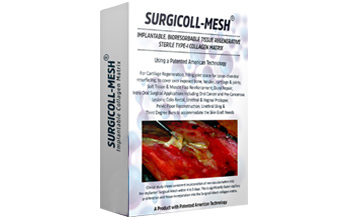 Sterile Bioresorbable Collagen Membrane for Guided Tissue / Bone Regeneration (GTR/GBR). 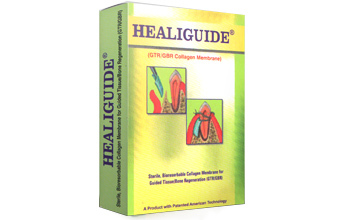 Healiguide is a thin sheet made of high purity Type-I collagen derived from selected animal tissues and purified using a patented American technology. Sterile, Tetracycline incorporated - Resorbable collagen Fibres for the treatment of infectious Gum Diseases through the modern Local Drug Delivery concepts. 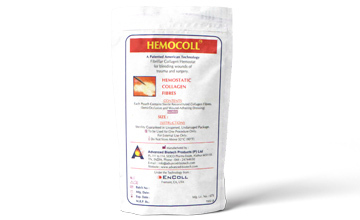 Hemocoll is for hemostasis when control of bleeding by ligature or conventional procedures is ineffective or impractical includes Dental oral surgery Biopsy Sites, second & Third Molar Extraction sites. Intra oral surgical applications as a biocompatible resorbable membrane as used by oral and maxillofacial and dental surgeons. 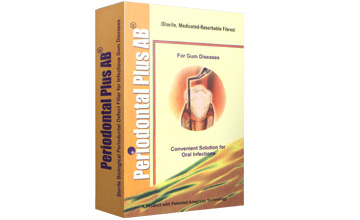 It can be used as a oral tissue substitute for post – operative mucosal defects in oral cancer and pre- cancerous lesions.